Eating raw foods and living cuisine feels amazing, especially when a dish gets created that satisfies a specific craving. I have been missing the flavor of BBQ. I whipped up a veggie and nut pate that is flavored with garlic onions and of course BBQ sauce. If you add a bit of Smoked Sea Salt you can get an even more grilled flavor. I warmed this dish in the toaster oven and served it to my husband. It’s his new favorite pate. We call it the Sloppy Joy. Dig in! Which raw dish most satisfies cravings for cooked foods? 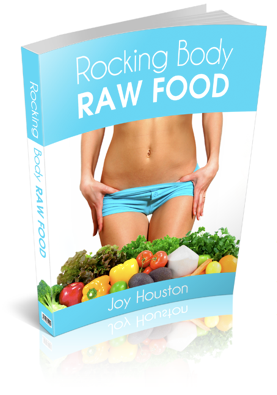 Ready to go raw for two weeks with a chef guided video for every meal?? So far this BBQ sandwich and the mock egg salad are tied for second place. The first place craving quencher would have to be the raw food BLT made with eggplant bacon. Not sure if I posted that one I’ll check now and post if it’s not here. I used to love vegan sloppy joes when I was growing up. Mmm. My mom made them with TVP and ketchup and seasoning and it was super fun. I’d love to try this raw version you’re making. Also got curious and found this recipe for a raw bbq sauce. Haven’t tried it yet, but based on the ingredients, it seems like it would taste gooooood. Keep up the great work with your blog and videos. I’ve been raw for a year and love getting ideas for new delicious things to make. Thanks Mona for the link to raw BBQ sauce. I will hop on that right away. Congrats on your year of raw foods. That shows an admirable commitment to your health and the health of the whole planet. Thank you! I hope to hear more from you. Wow, I am inspired! 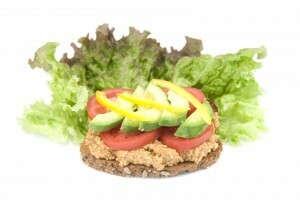 I love this easy raw recipe. and no real measuring!!! much better than my usual crudités and mashed avocado or a spinach smoothie. Thank you.